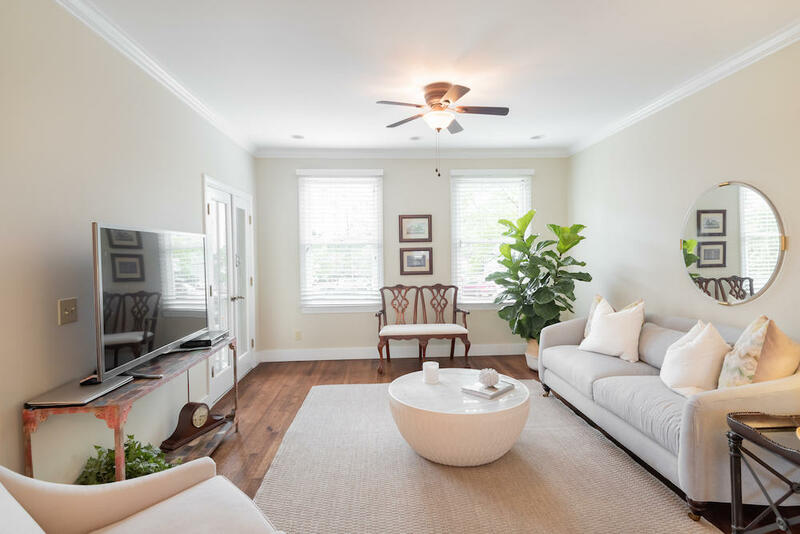 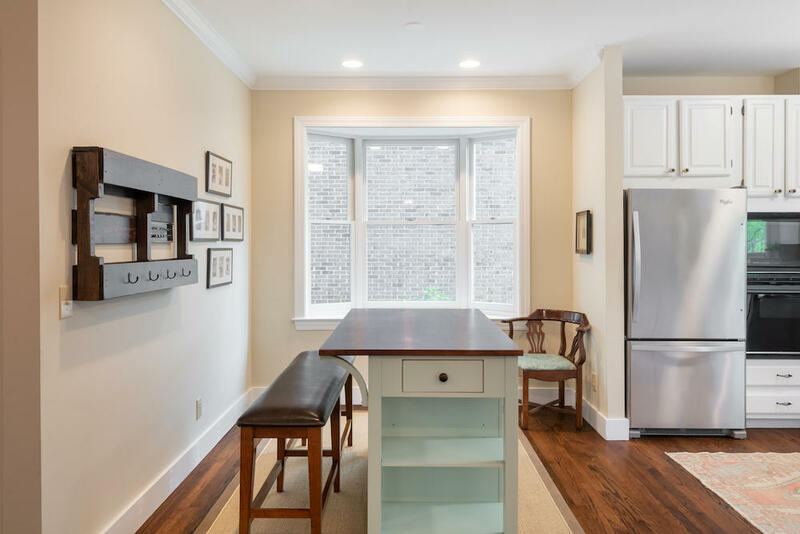 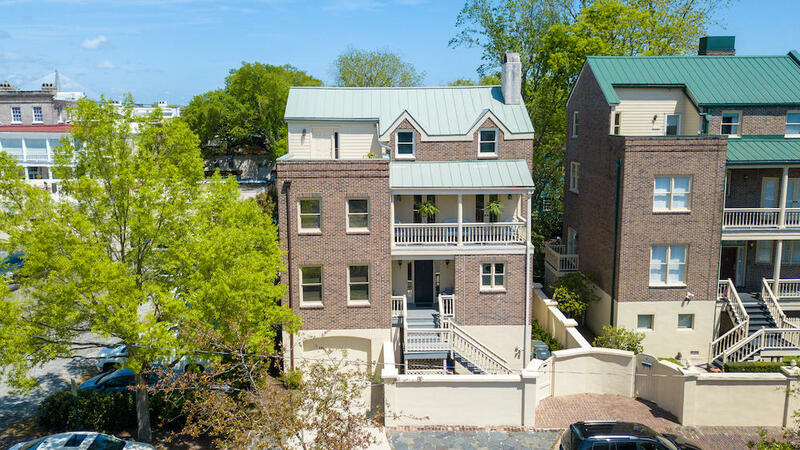 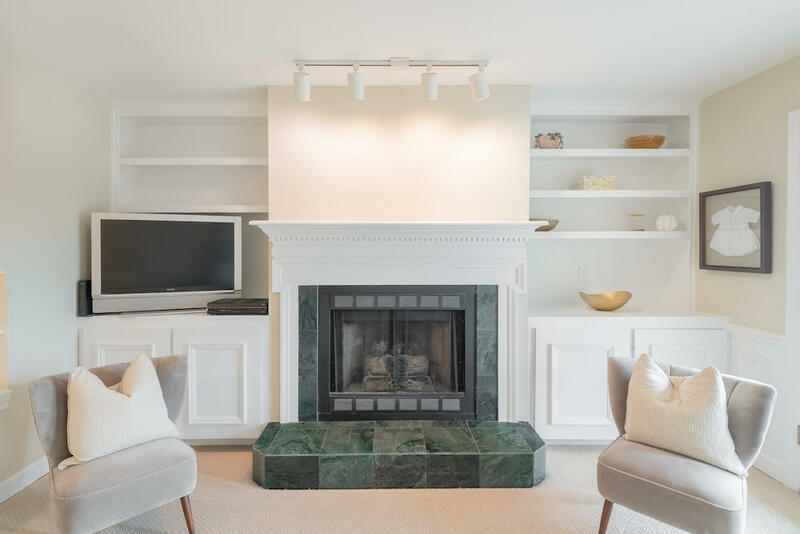 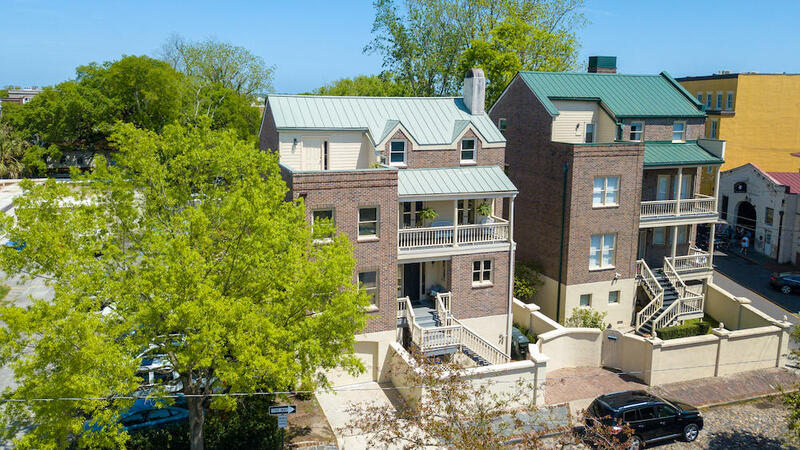 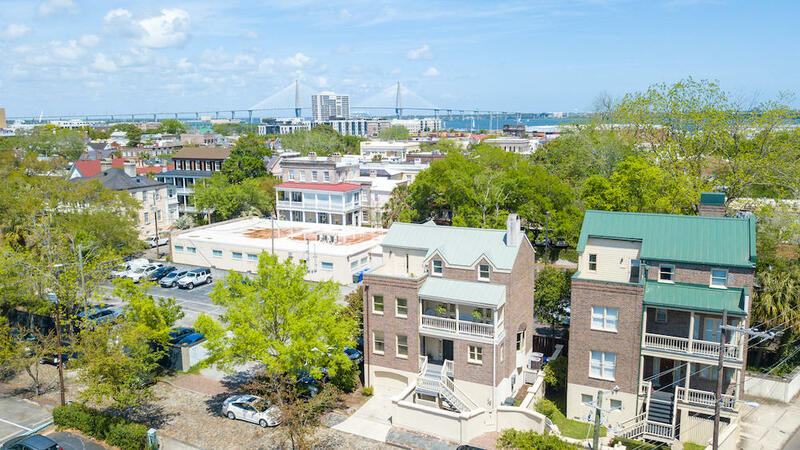 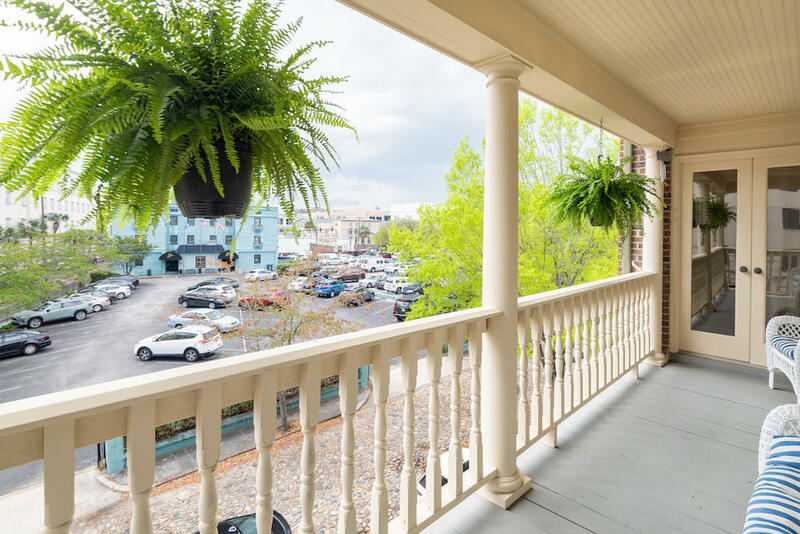 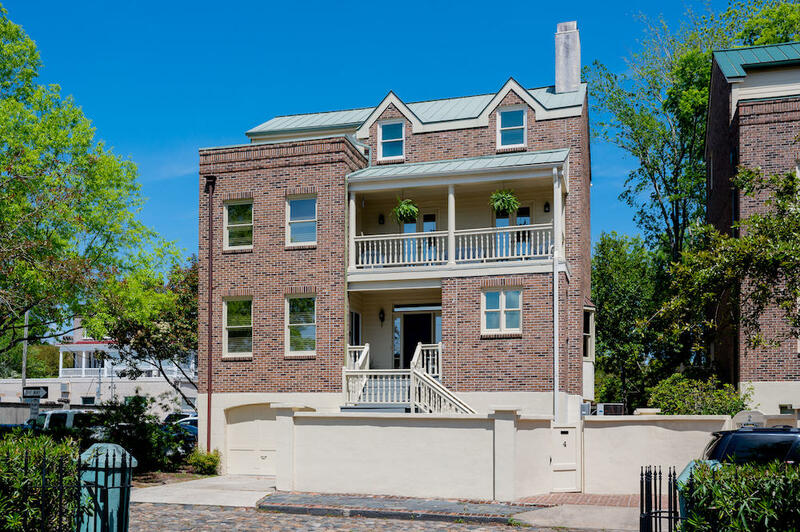 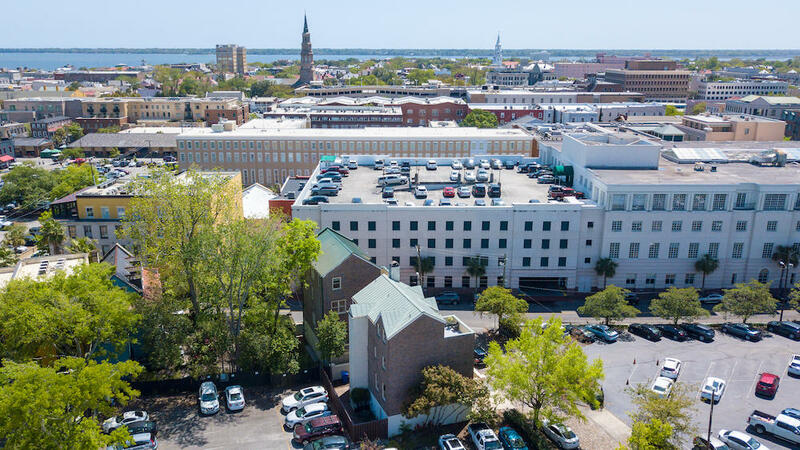 Central location, enclosed parking, workshop space, elevator, roof deck, contemporary floor plan, and NO FLOODING in recent storms: 4 Maiden Lane is one downtown Charleston listing that is not to be missed! 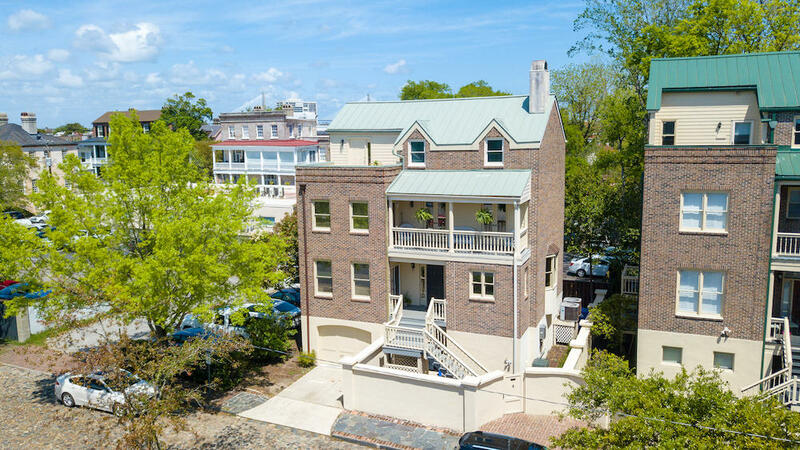 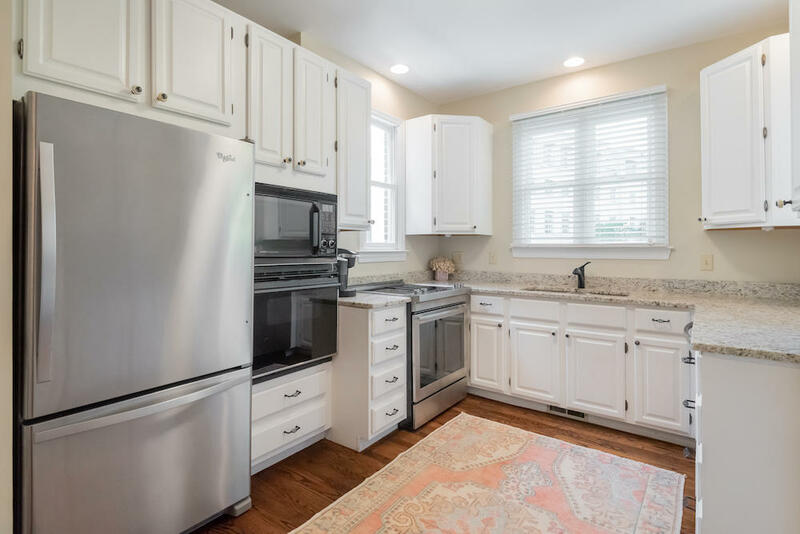 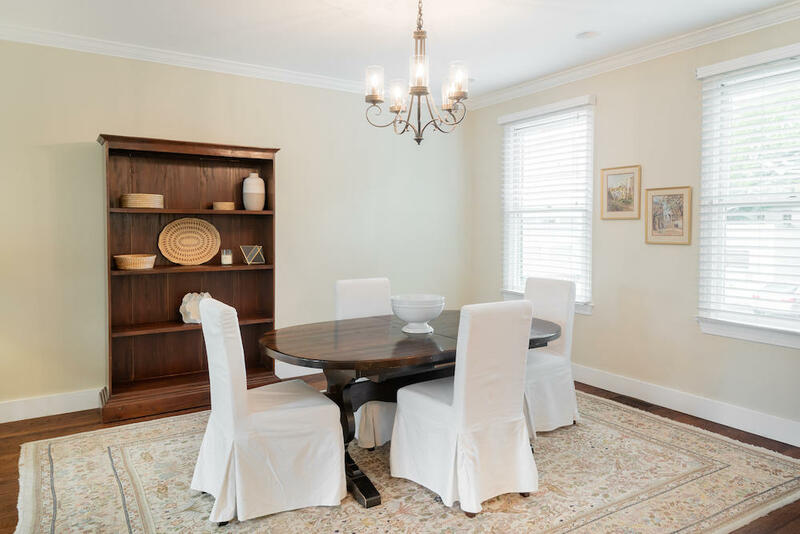 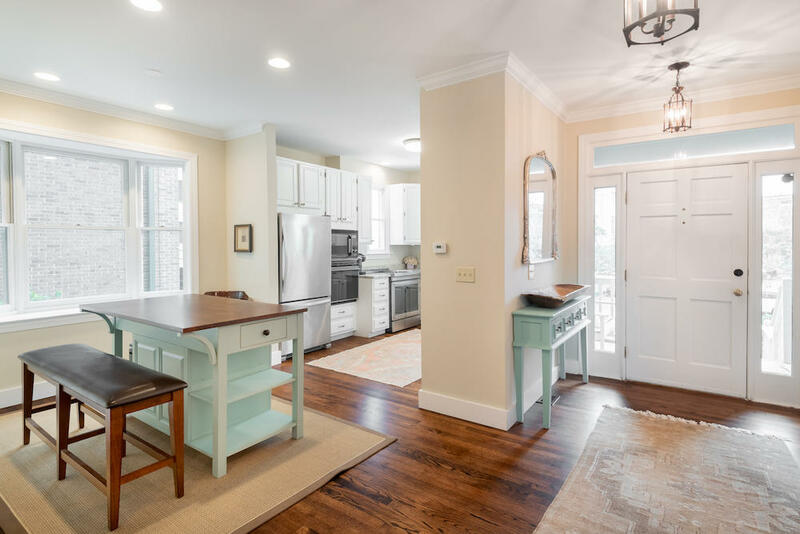 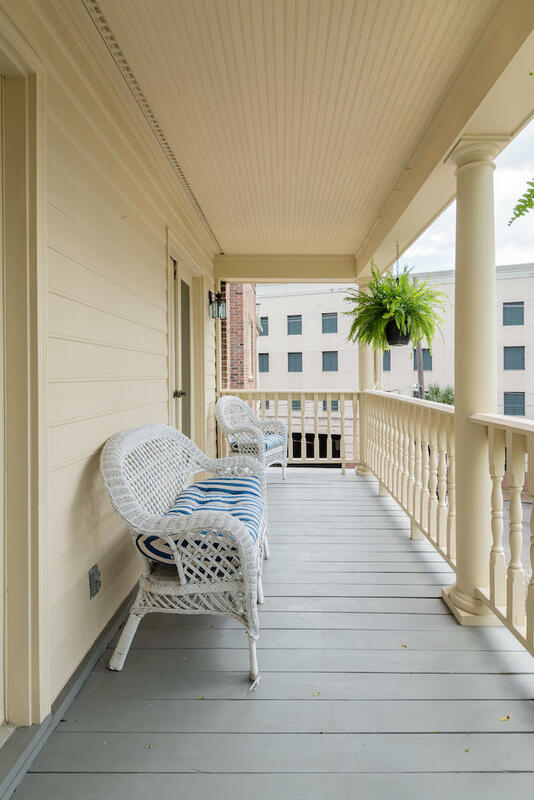 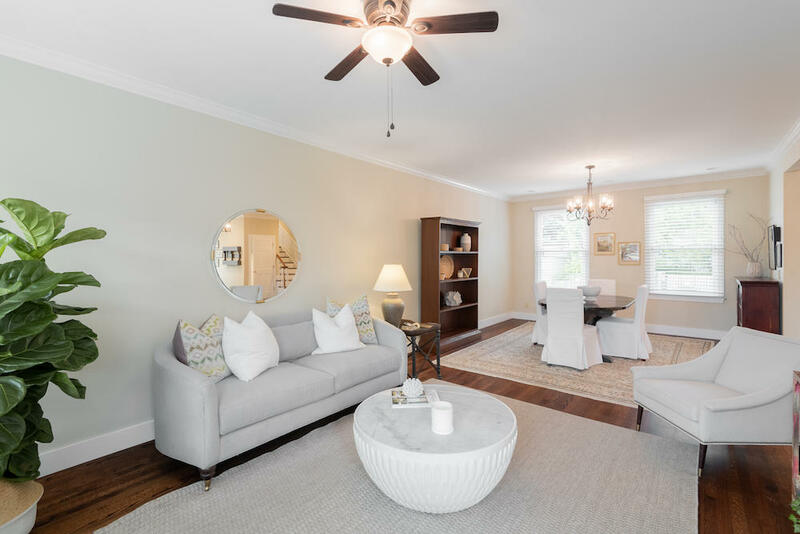 Located on a cobblestone street in historic Ansonborough neighborhood, this townhome-style detached home is steps from the Charleston City Market, dozens of restaurants, and the King Street shopping district. 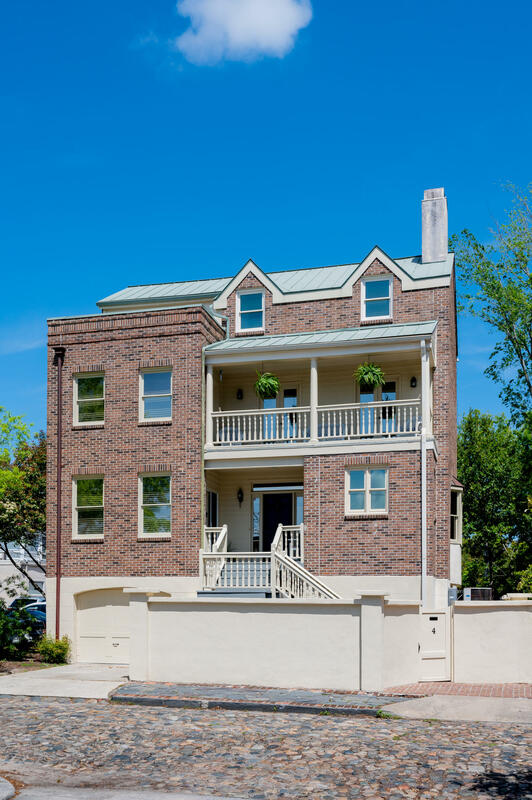 Built in 1989, the home has remained in the same family since its initial construction, with a strong maintenance and update history. 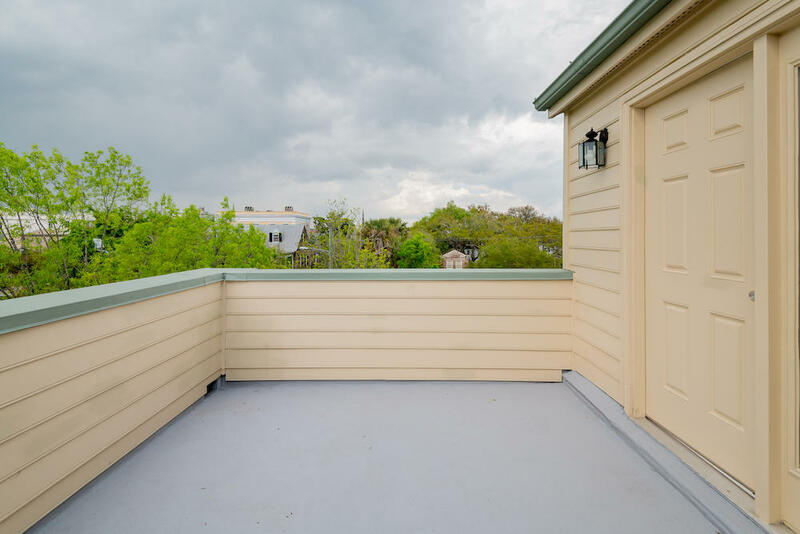 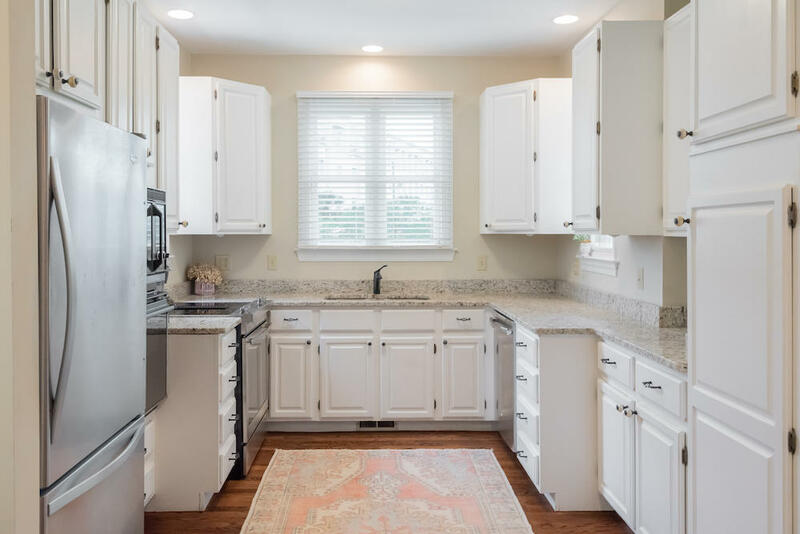 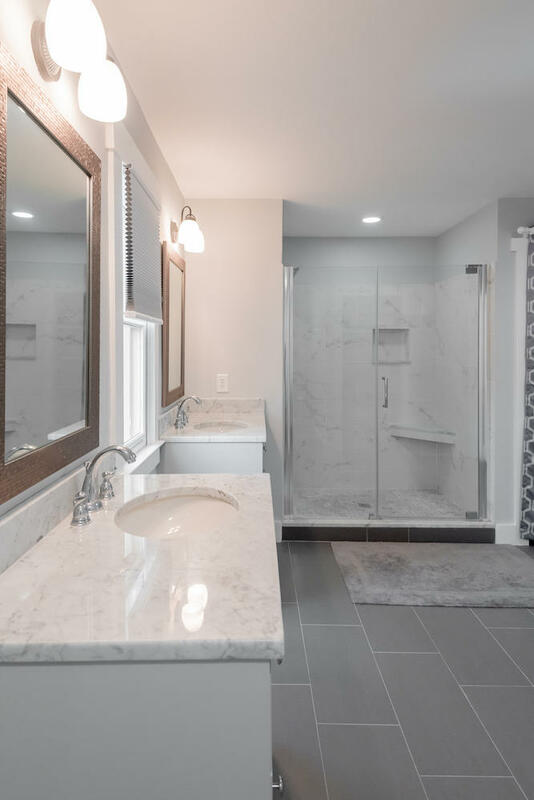 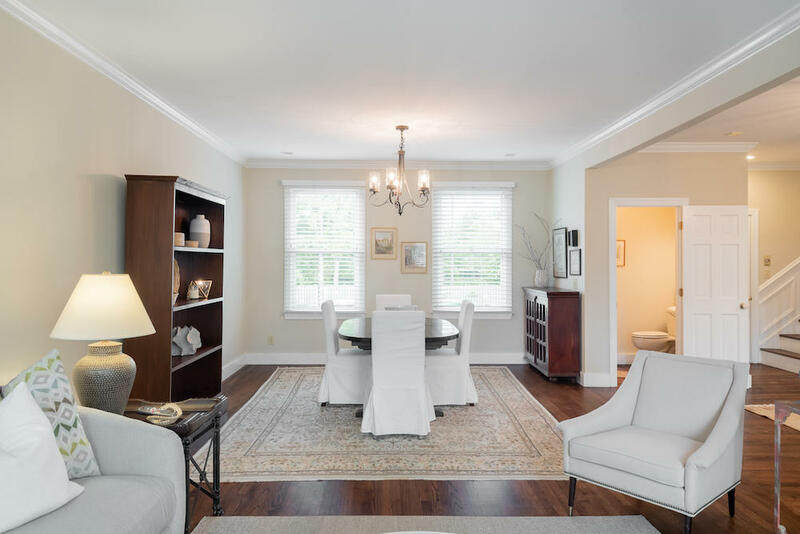 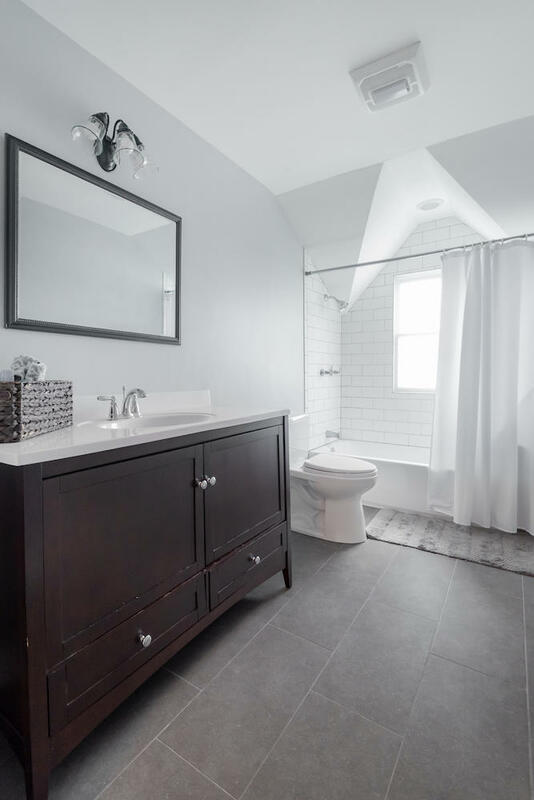 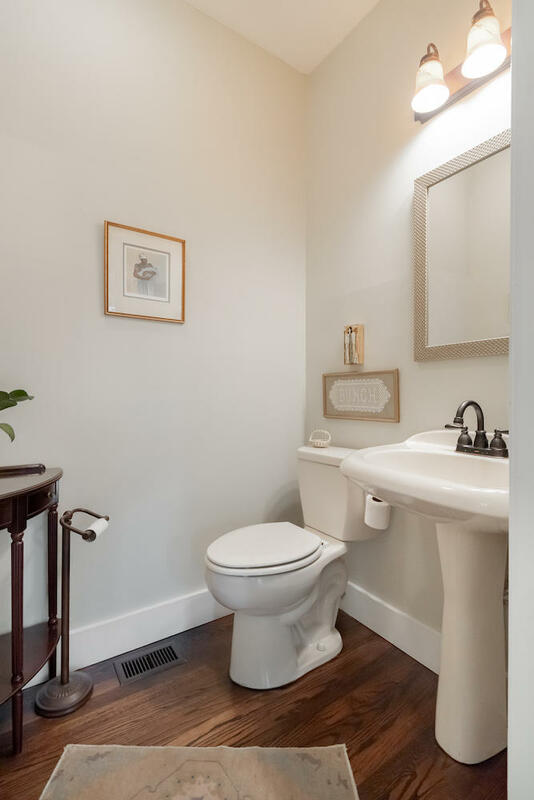 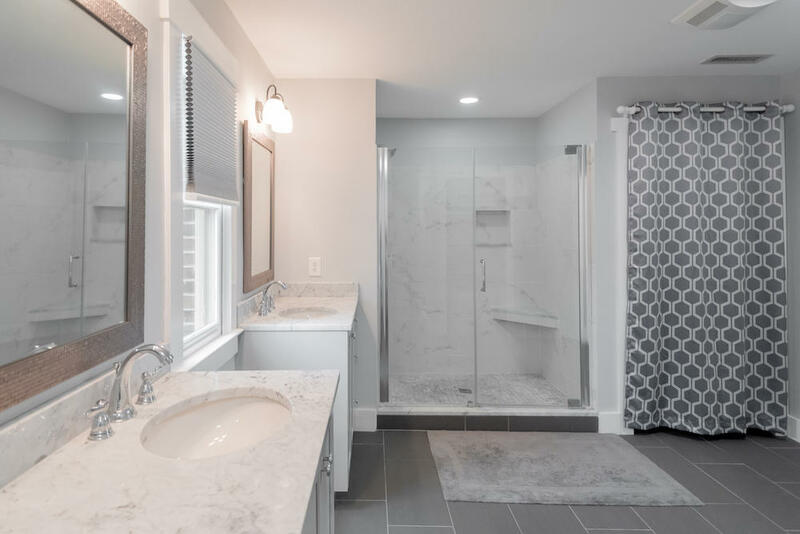 In the last few years, the owners have recoated the roof, repainted the garage interior, resealed the top floor deck, added a tankless water heater, renovated bathrooms, and much more. 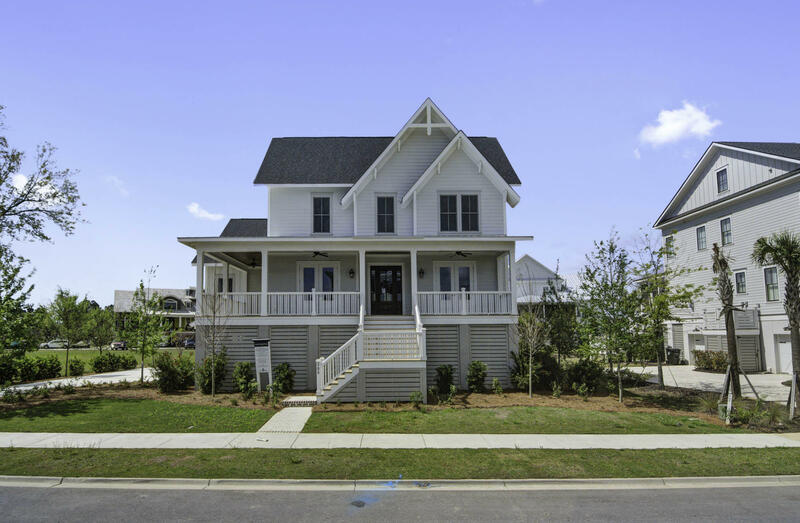 Inside, you'll find a floor plan well suited to full time or part time residence. 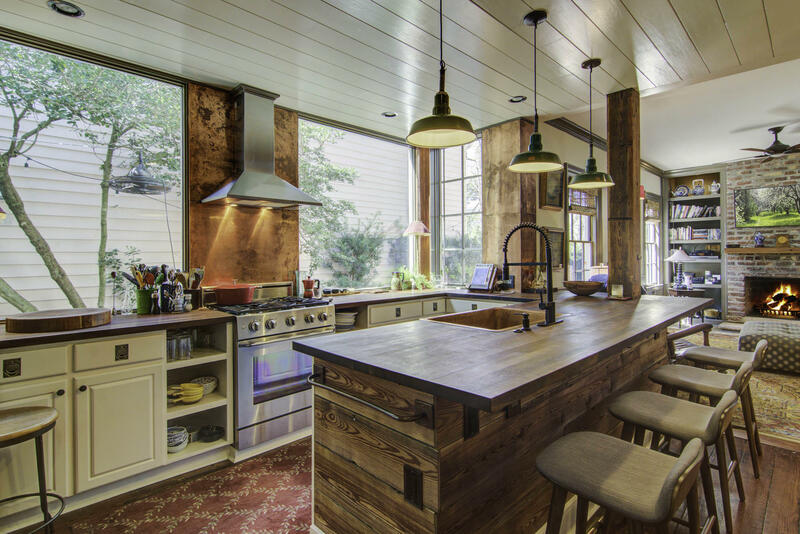 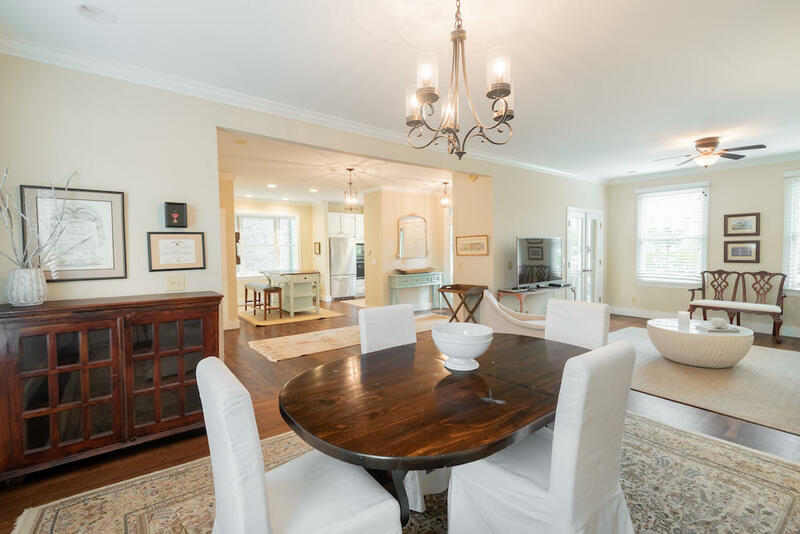 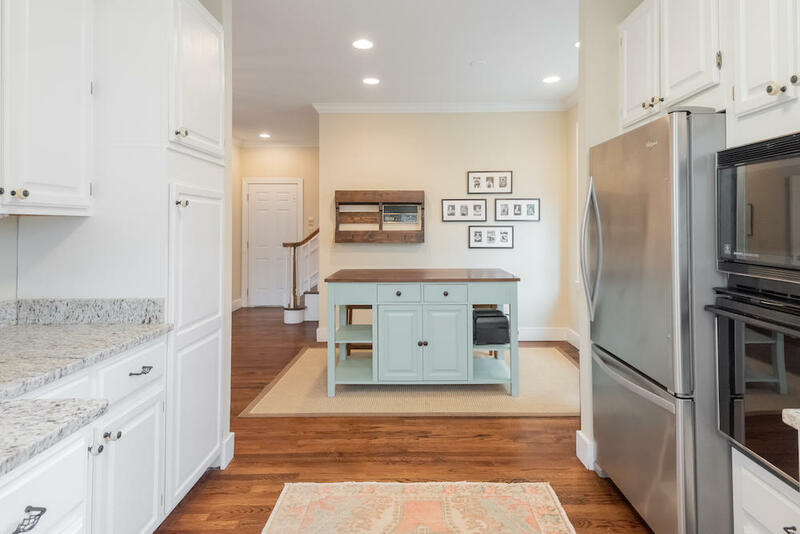 The main story has a semi-open floor plan with distinct living, dining and eat-in kitchen areas, open enough for large family gatherings and entertaining but cozy enough for everyday living. 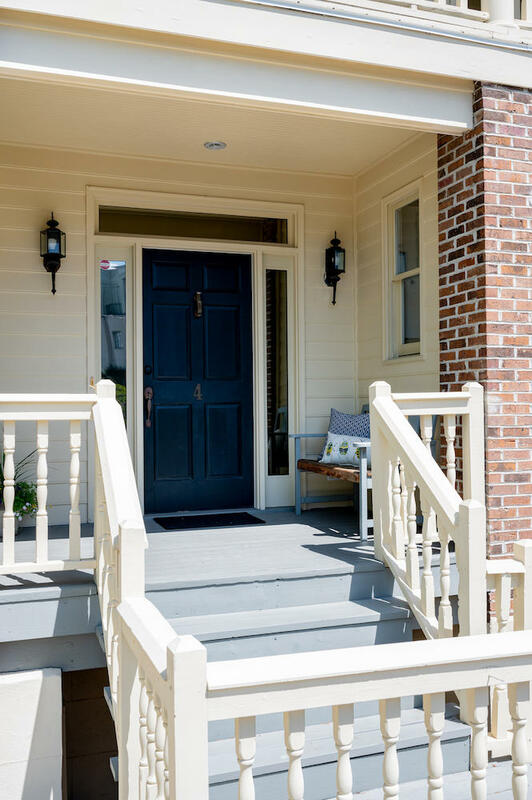 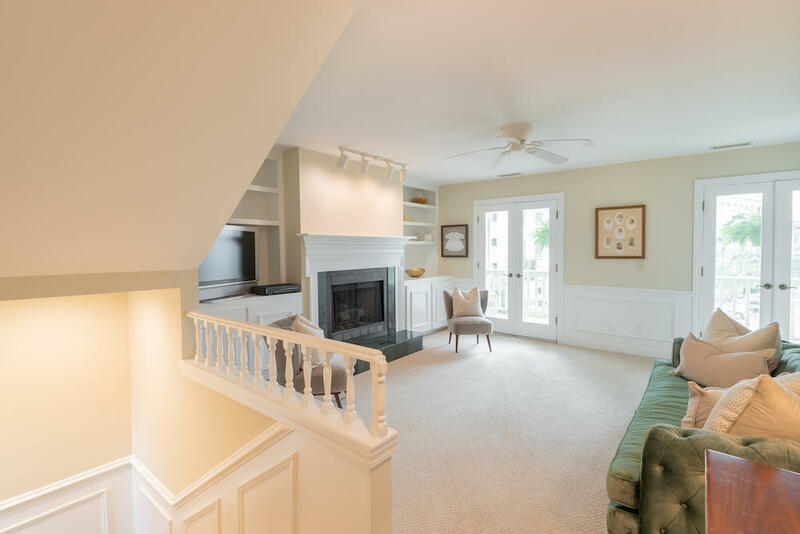 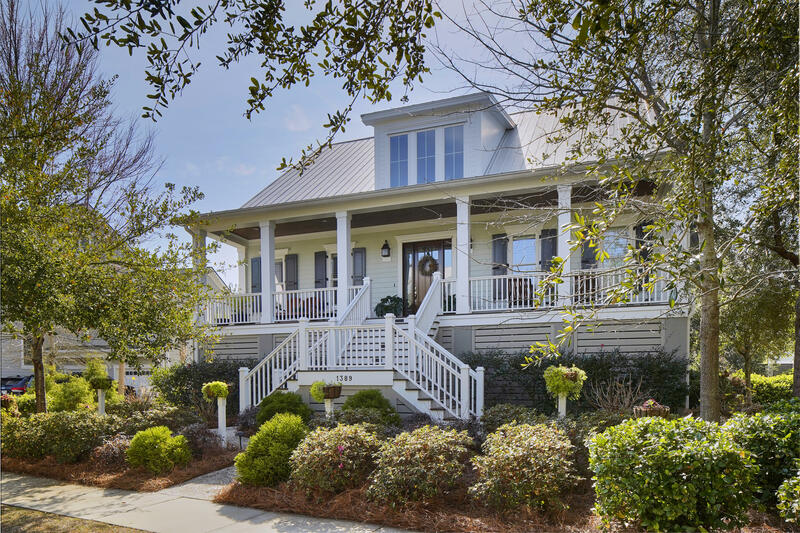 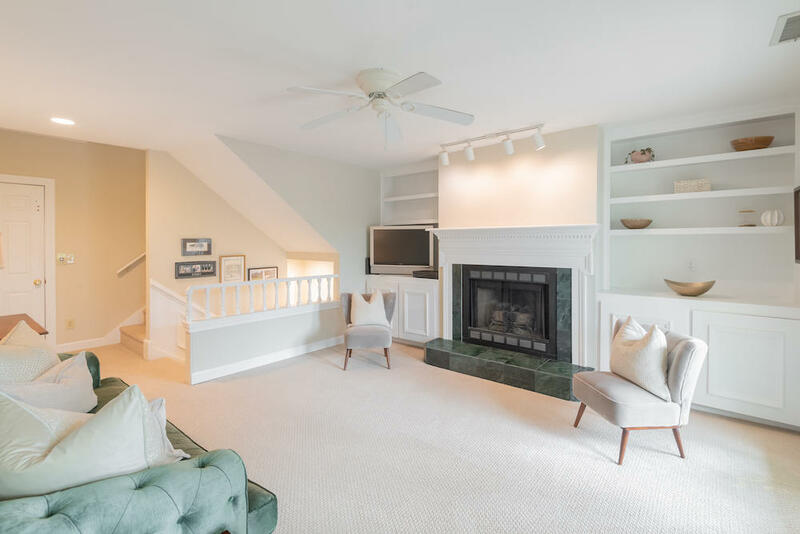 On the second story, there's an open family room featuring a fireplace, built-ins, and French doors to a porch, perfect for a couple rocking chairs or a traditional Charleston joggling board. 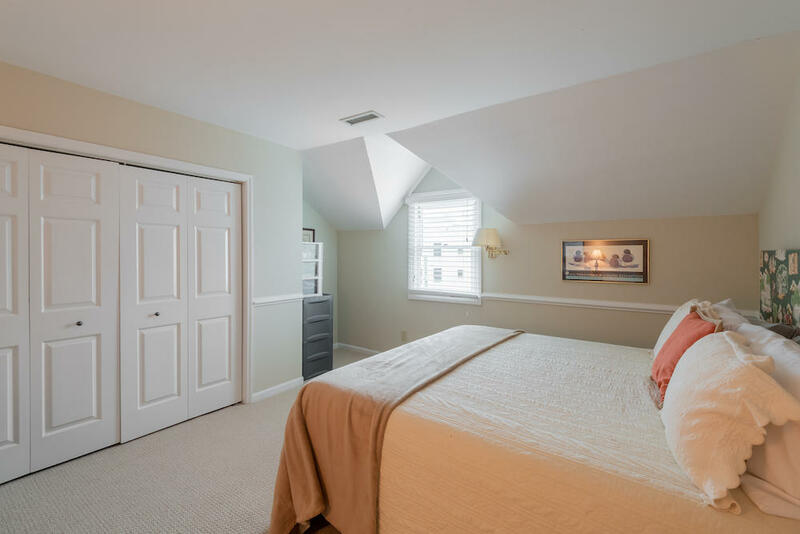 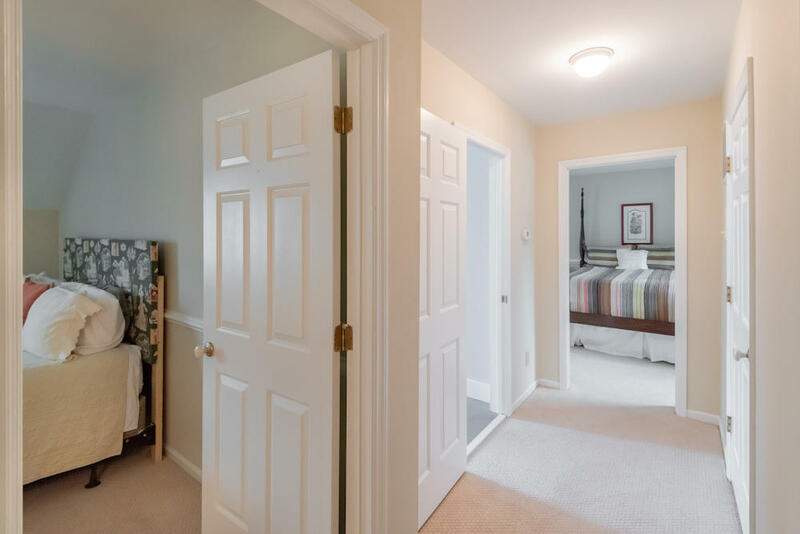 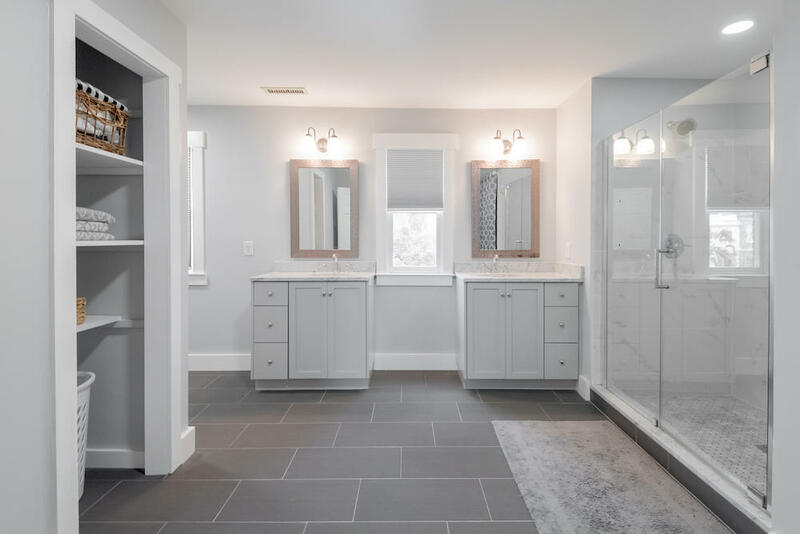 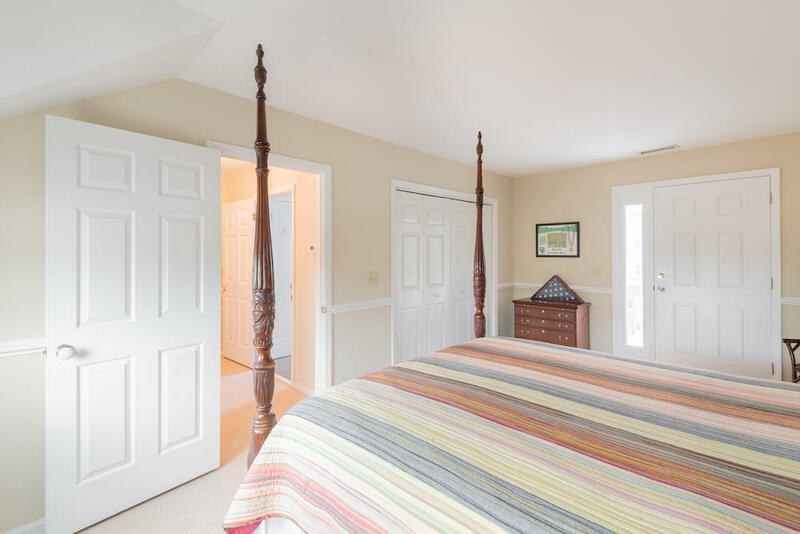 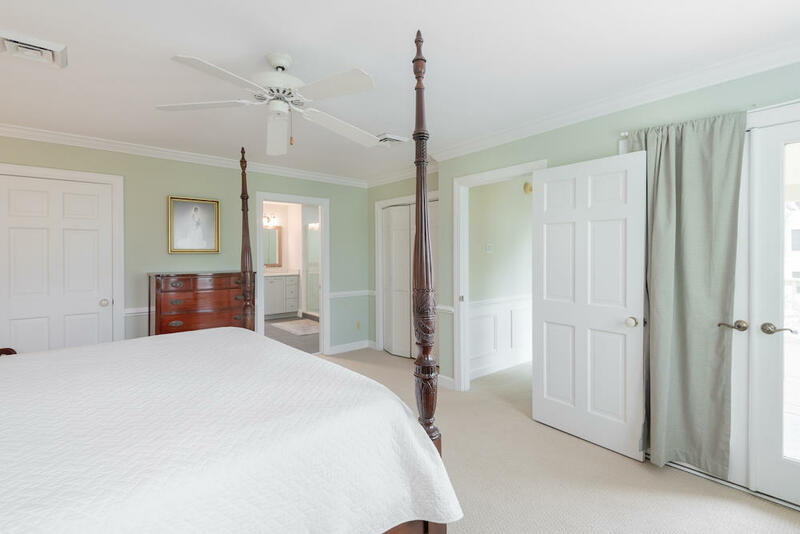 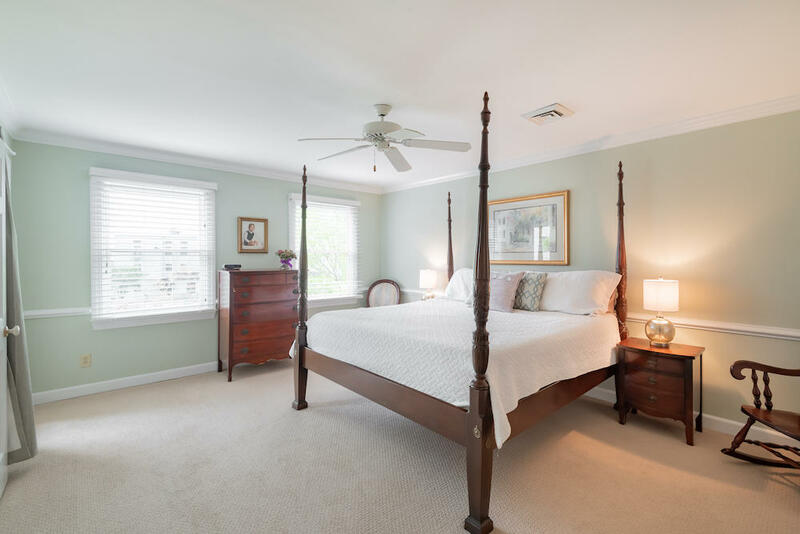 Beyond the family room, enter the master suite, which also features outdoor porch access, walk-in closets, and a spacious bathroom renovated in 2017. 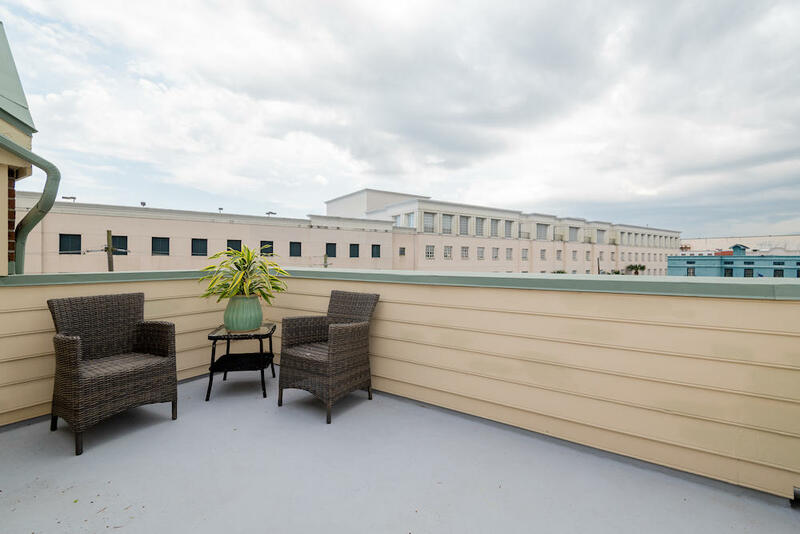 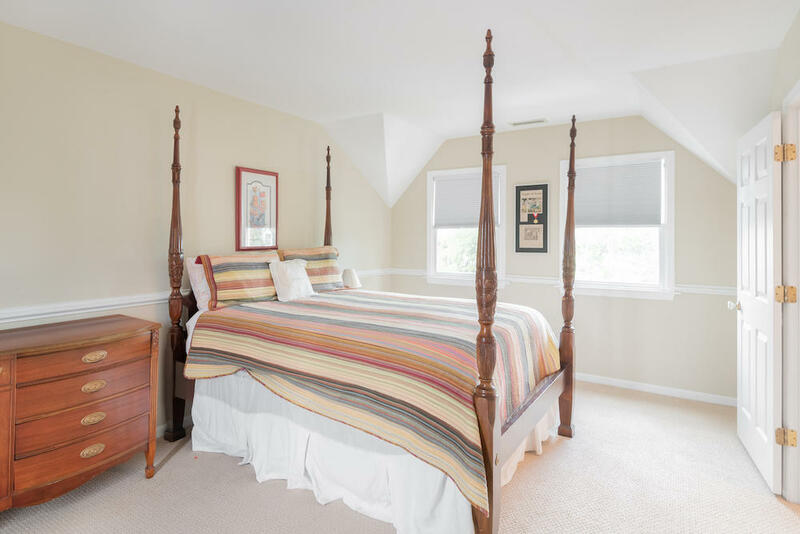 On the third level are two additional large bedrooms, a shared bath, and access to a breezy deck with roof top views. 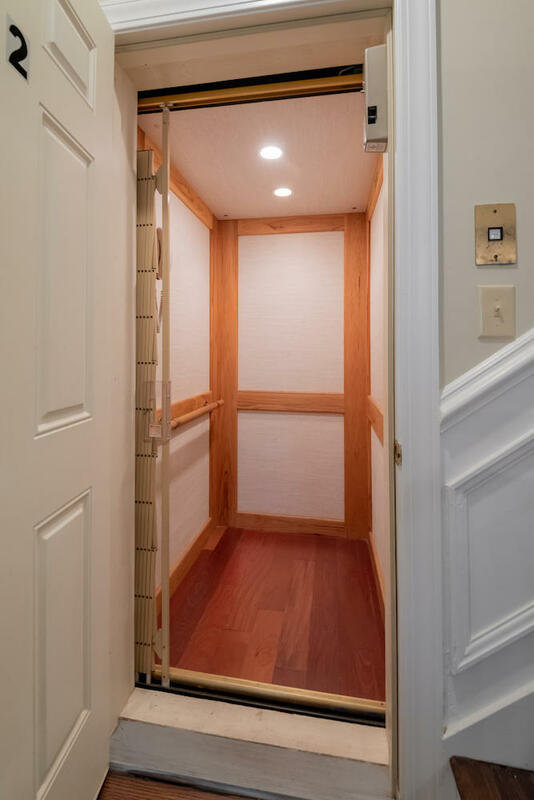 On the ground level, you'll find a large garage space, which is accessible from the exterior, via an interior staircase from the main level, and from the elevator, which travels from the ground to the uppermost level. 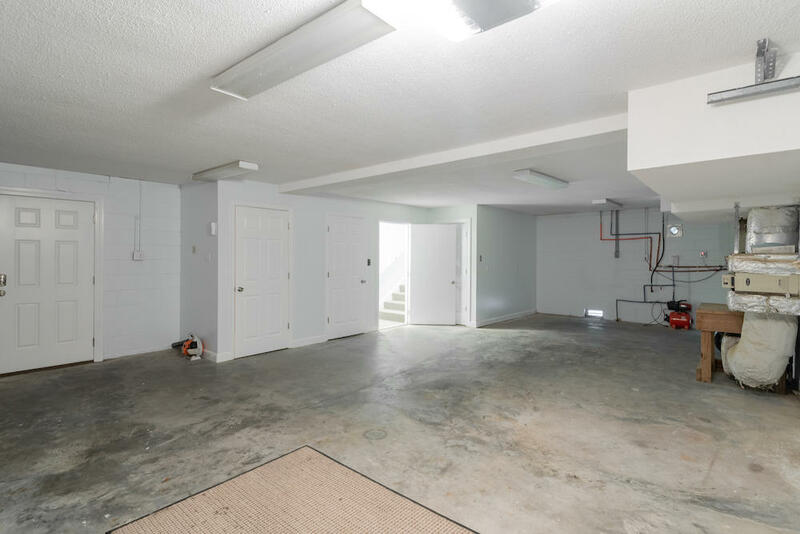 The garage, with automatic opener, offers space for two cars and a workshop. 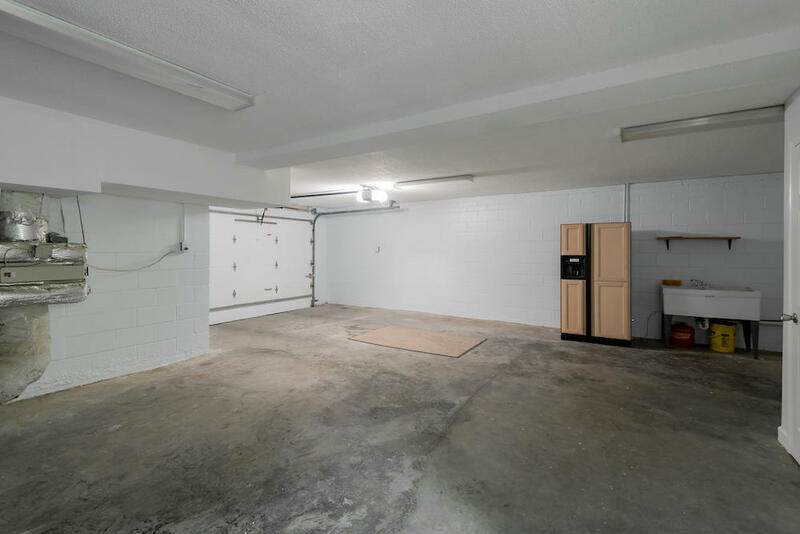 The rear door in the garage opens to a private fenced courtyard. 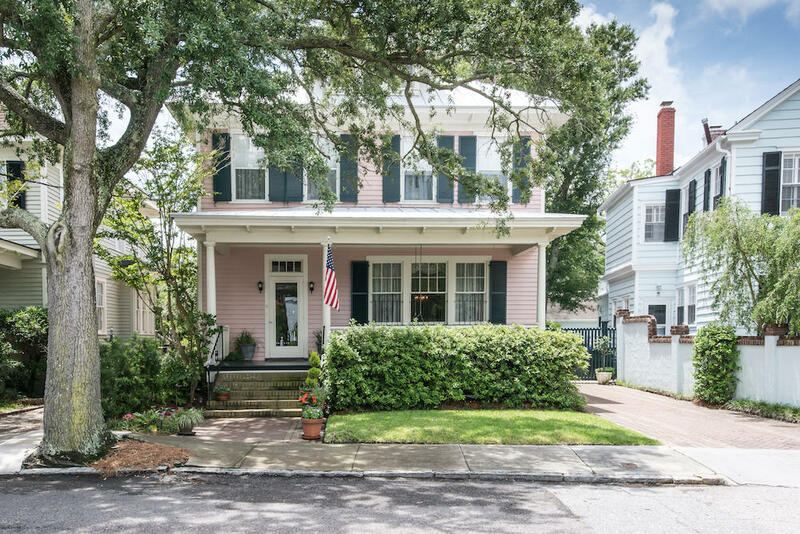 If central location, walkability, and convenience are what you are seeking, look no further than this listing. 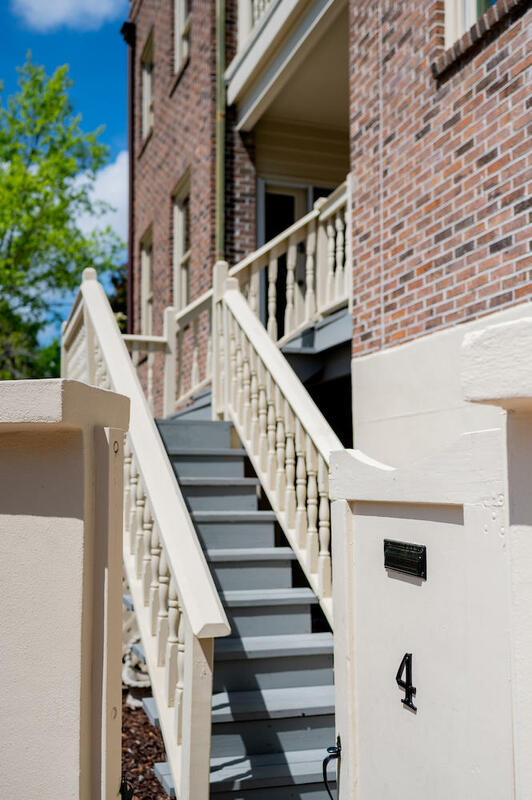 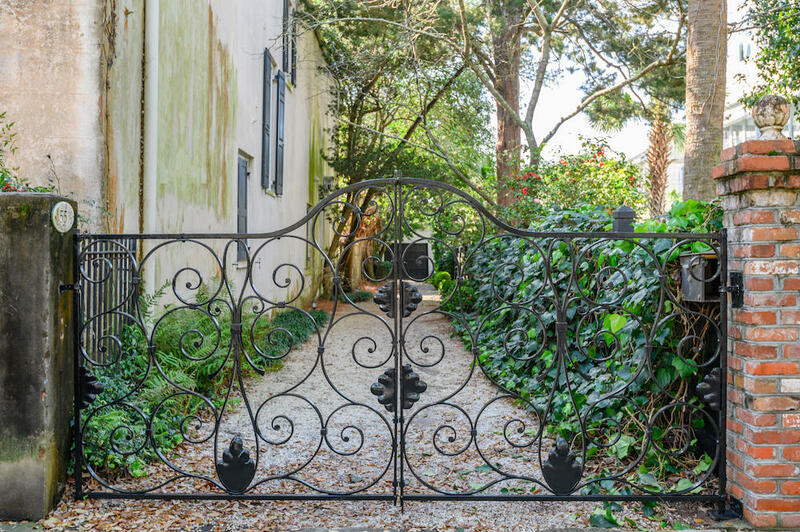 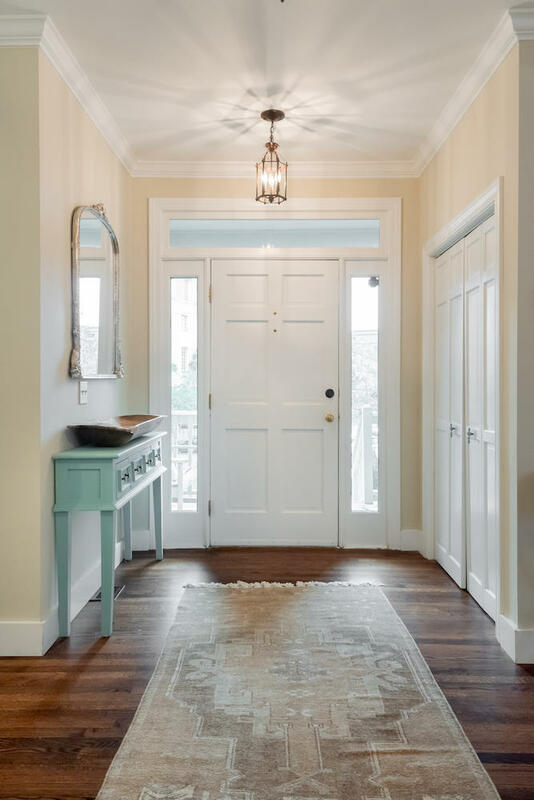 Come home to 4 Maiden Lane and enjoy Charleston at your footsteps.